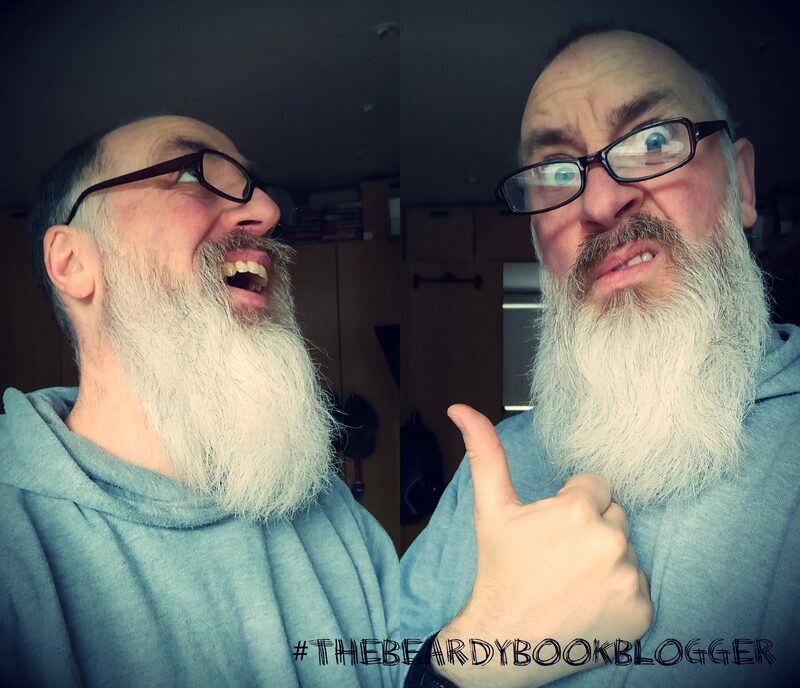 Hello you lovely, lovely people, and a very warm welcome to my little beardy blog. How are you all doing? Really? Well I hope that that clears up very soon. Otherwise all okay? Excellent. Now, in case you didn’t know, #Fahrenbruary is in full swing; the month long celebration of all things Fahrenheit Press and Fahrenheit 13. Yesterday (if you’ve been following along sequentially) I posted my review of Back Door To Hell, a gritty, tense, couples on the run noir thriller by Paul Gadsby. Here, via the magic of the internet, is a link to that very review…. LINK. A little while ago I asked Paul Gadsby to write me a piece about what inspired him to write BDTH. And do you know what? He agreed and did…. did. Paul Gadsby: He’s not on the run. Yet. Ever since the exploits of a certain Bonnie Parker and Clyde Barrow in 1930s America came to light and swiftly became legend, there has been a magnetic pull about a couple joining forces to pursue their quest for whatever it may be; freedom, independence, safety, notoriety. As a passionate reader of crime fiction for many years, I’m always sucked in when the emotional drive behind a narrative intensifies when two people make that leap to pair up and trust each other with their lives, to become one soul. Some of my favourite novels have explored the complex and shifting relationship between a fleeing couple as they deal with the pressures of hitting the road to escape or start over. With circumstances and emotions fluctuating constantly, the characters are often riddled with doubt and tension as well as excitement. It’s this element of a human bond – a seemingly imperishable one to begin with, and a startlingly unpredictable one later on – that inspired my new novel Back Door to Hell, a noir thriller from Fahrenheit 13 centred around a young couple on the run. The two protagonists, who’ve only recently met, plot to steal a large batch of cash from an organised crime boss they work for. They each have their own personal and financial reasons for taking the risk, and their initial plan is to split the money and go their separate ways. But after the heist turns out to be a closer call than expected, they decide they are stronger together as the furious boss launches his pursuit of them across the country. I submitted it to Fahrenheit because of their cool collection of hardboiled noir and their reputation for taking a chance on a range of authors including those who aren’t hugely established. Thankfully, Chris Black of the Fahrenheit 13 imprint felt my story would resonate with the publisher’s audience – and so far it seems he’s got a point. During the drafting stage I wasn’t short of literary inspiration. The following five books are my favourite couple-on-the-run thrillers – stories that have delved deeper than others to uncover the strain, the comforts, the conflict and the allure of what happens when two people are forced into a one tangled destiny as the stakes rise. The writer behind iconic HBO series True Detective weaves a hell of a tale as low-level criminal Roy Cady discovers his New Orleans mob boss wants him taken out. During a bloody attempt on his life, Roy, also dealing with a recent cancer diagnosis, escapes with teenage prostitute Rocky and they make a break for it to Texas along with Rocky’s baby sister. They lay low amongst a threatening landscape of downbeat country bars, fleapit hotels and damaged drifters before the past catches up with Roy and Rocky to devastating effect on the island city of Galveston. A lyrical masterpiece. Doc McCoy, released from prison via an unorthodox pardon, commits a bank robbery with three accomplices; his wife Carol and thugs Rudy and Jackson. On fleeing the scene, Rudy kills Jackson before Doc shoots Rudy, thinking him dead. Doc and Carol drive to Kansas City with the loot and then take a train to California, where the recovered Rudy ambushes them. The couple survive but, as Doc learns about Carol’s underhand involvement in the pardon and her plans for the money, their loyalty to each other is tested beyond repair as Thompson pitches the tension beautifully. This wistful lesbian romance story was later published as Carol and adapted into an Oscar-nominated film in 2015. Written under the pseudonym Claire Morgan because Highsmith didn’t want to be labelled as a lesbian writer, young Manhattan department store worker Therese Belivet meets wealthy married thirty-something Carol Aird. To escape the suspicions of Carol’s husband and explore their feelings for each other, Carol and Therese take a road trip west, but the whimsical adventure costs Carol custody of her children before Highsmith sets up a surprise uplifting ending. A classic pursuit thriller first published in 1980, Ludlum ticks all the boxes here as bullet-ridden amnesiac spy Jason Bourne is fished out of the Mediterranean with no memory of his past. As he pieces together his complex identity, men try to kill him in a Zurich hotel. Bourne grabs another guest, Marie St. Jacques, as a hostage in order to escape. The two forge a bond of trust as they flee to Paris, tracked by pro assassins and various shady groups including the CIA. The chase later spreads to New York as Bourne and St. Jacques hunt the past and fall in love while evading their pursuers. “This whole world is wild at heart and weird on top,” observes Lula, one half of the dynamic Sailor-Lula partnership that steals the hearts of readers of this 1990 pulp hit. Adapted by director David Lynch into a Palme d’Or-winning movie just months after its release, star-crossed lovers Sailor and Lula hit the road in a ’75 Bonneville convertible for thrills and a better life but meet violence and cruelty full in the face. Gifford’s depiction of their darkening adventure parallels perfectly with the purity and frenzy of the relationship he deftly builds between Sailor and Lula. TBBB: My huge and sincere thanks to Paul for contributing this piece to this year’s #Fahrenbruary celebrations. Back Door to Hell is available in paperback and ebook formats direct from Fahrenheit 13 as well as on Amazon. “Boy meets girl. Girl has a plan. A plan that’ll change everything. Nate and Jen are two working class kids looking for a chance to leave behind their dreary, minimum wage lives forever. Jen has figured out a way to change everything, she just needs a little help to pull it off. That’s where Nate comes in. She’s got it all planned. In and out before anyone notices, nobody gets hurt and finally they can start living the lives they always imagined. A simple heist, even for amateurs like them.